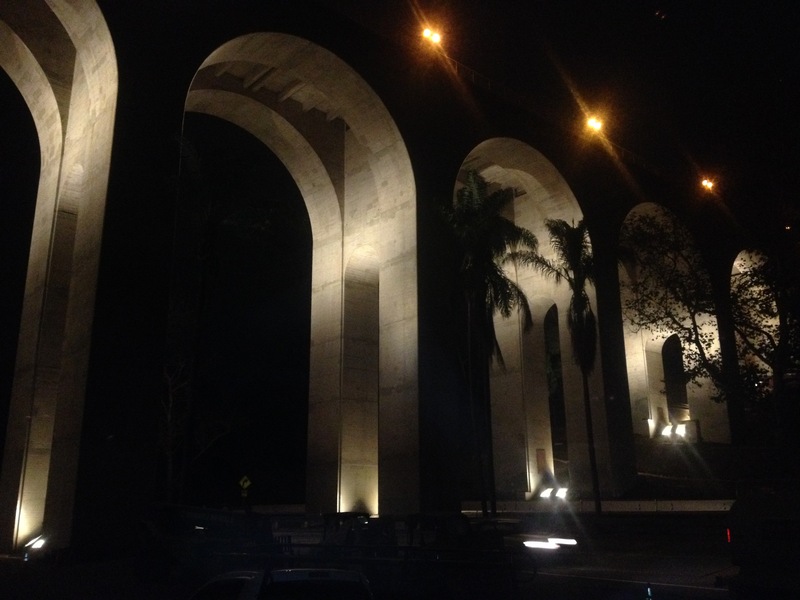 Completion of Cabrillo Bridge/Laurel St. Overcrossing Retrofit Project - Select Electric, Inc. The renovation of the 100-year-old Cabrillo Bridge is nearing completion just in time for the centennial celebration of Balboa Park’s 1915 exposition. New highway standards has prompted that all highway bridges be brought up to code for safety reasons. Select’s scope of work was to upgrade all electrical systems on and within the bridge. Some key installation points were new up lighting system at each of the 12 piers and abutments, new electrical panels inside of the bridges infrastructure, the installation of thousands of feet of cable and conduit and hundreds of lights. Several long hard hours of work and unique working conditions were required from the Select Team, who is honored to have been a part of this historic renovation!